Why doesn’t The Books of the Bible show the “seven sevens” in the book of Revelation? Q. If The Books of the Bible is supposed to show the “natural literary outlines” of the biblical books, why doesn’t it highlight the “seven sevens” that structure the book of Revelation? It’s also true that the letters, seals, trumpets, and bowls organize the episodes in their specific parts of the book. For example, we don’t hear about John being told all at once to sit down and write seven letters. Rather, he’s told at the start of each one, “Write to this church,” and we hear the content of that letter before he’s told to write the next one. Similarly, the events following the opening of each seal are narrated before the next seal is opened. And so forth. It would certainly be elegant if we could show that a pattern like this structures every part of Revelation. Unfortunately, it doesn’t. For one thing, only four of these “sevens” are actually named specifically in the text: the churches, seals, trumpets, and bowls. The other supposed series of “sevens” are not named or identified as such in the text, suggesting that no such further series are being used as intentional structuring devices. Interpreters sometimes identify two other “mystical figures” as “signs” in this part of the book, the woman’s child and Michael the angel. But these are actually characters in the ongoing narrative who are not presented as the focus of a given vision the way the others are. (Remember, the question is whether the elements in a given “seven” structure a series of episodes.) Besides, if the child and the angel count as “signs,” then why not count similar characters in the narrative as well, such as the earth, which helps the child, or the 144,000 who follow the Lamb? As for “seven great enemies defeated,” it is true that after the seven bowls, Revelation describes the defeat and destruction of several enemies. These are named, interestingly, in the reverse order of their original appearance in the book, suggesting some possible structural significance: Babylon, the beast, the false prophet, the dragon, death, and hell. But the depiction of the sequential destruction of these enemies does not supply the structural outline for this section in Revelation. Rather, almost all of the section is about the destruction of Babylon; the destruction of all the other enemies is narrated more briefly at the end. Finally, as for the “seven last things,” these are not listed or identified in the text, so interpreters need to pick and choose from among the many features of the closing visions to get a total of seven (for example: the new heaven, the new earth, the new Jerusalem; the river of life, the tree of life, the book of life; the throne of God). But even so, once again these elements do not structure the episodes in this part of the book. So if we try to outline Revelation based on “sevens,” what we actually get are four explicit sevens and three other sections that cannot be organized consistently into a sevenfold arrangement. 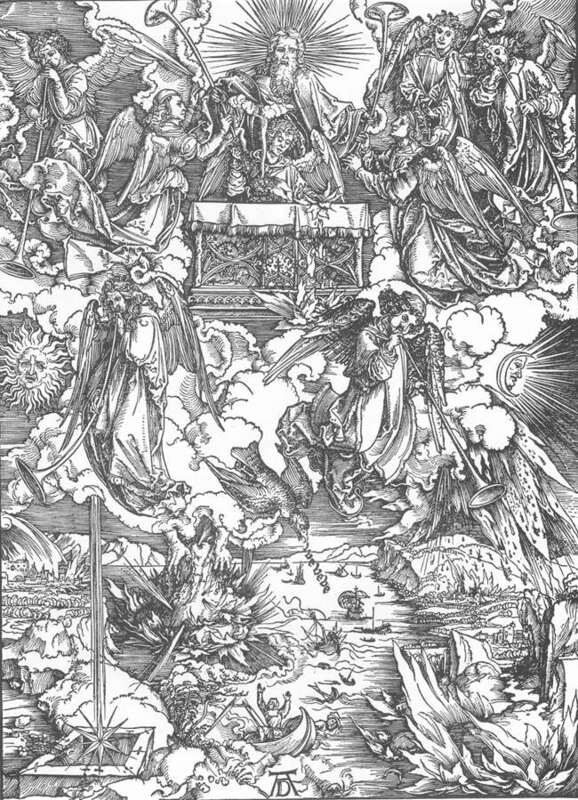 Besides, an outline of “seven sevens” is not able to encompass one of the key parts of the book: John’s vision (right after the letters) of the Lamb receiving honor from the creatures around the heavenly throne. If, on the other hand, we take the phrase “in the Spirit” as our structural cue, as explained in the “Invitation to Revelation” in The Books of the Bible, and as developed in more detail in the Daniel-Revelation study guide, we find that this phrase appears explicitly at the start of four major sections, providing a comprehensive structure for the book and its contents. Nevertheless, an outline based on “seven sevens” is to be commended in one regard: it reflects an attempt to recognize the literary-structural signals that the book of Revelation itself is sending, rather than to rely simply on traditional chapters and verses as guides. As a result, in several parts of the book such an outline yields a structural understanding very close to the one we have indicated in The Books of the Bible, at least in terms of the arrangement and progression of individual episodes. This illustrates that much about the structures of the biblical books can be recognized implicitly, so that even interpreters who are committed to different outlines can end up in broad agreement at many points. Next Next post: Why does Jesus say to “make friends with the unrighteous” in the Parable of the Shrewd Manager?